Cabalen celebrated its 30th anniversary this year with the theme “Strengthening Ties.” Three decades of serving sumptuous Filipino dishes and satistfying the cravings of their guests. Along with these activities, Cabalen launched a promo for the whole month of August were guest who joined their raffle promos took home appliances and gadgets, exciting package tours, and gift certificates. In addition to these, other brands under its umbrella like Soi, Mangan, Salu-Salo, and Eat Pinoy also joined the Anniversary celebration. A vision to achieve one’s success requires a strong sense of willpower. As a young entrepreneur, Maritel Nievera made her wayto make a difference. She is now one of the ideal restaurateurs who shared her knowledge and passion in bringing her ideas of cooking into an unexpected success of her restaurant career. Maritel invades the food and beverage path that led her to become one of theoutstanding career women for the past three decades. “If I can’t beat them, I’ll join them”. This is one of the most remarkable phrases Maritel Nievera believed and the rest is history. 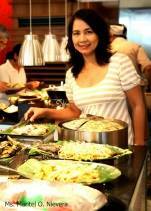 wherein their hometown deemed as “Culinary Capital of the Philippines”. From its style of service, Cabalen introduced the best way to take the pleasure of Kapampangan cuisines through an array of food in the buffet line. It offers a wide selection of mouth-watering Kapampangan dishes from Soup selections up to Dessert selections combined with different choices of beverage as well. 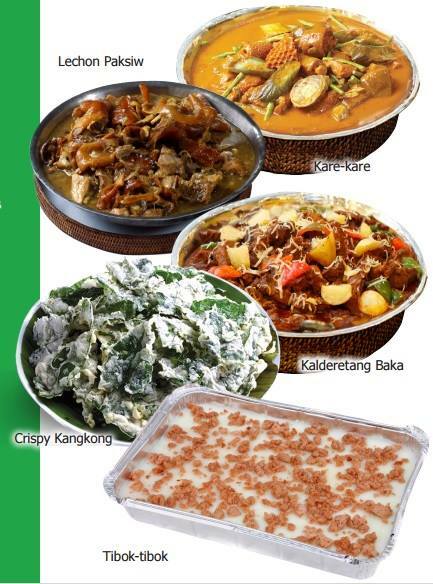 Cabalen made famous for its Kare-kare, Dinuguan, Caldereta, Letchon Paksiw, Crispy Kangkong, and Tibok-tibok. Apart from its appetizing food,Cabalen also offers export quality products called as Pinoy Deli and also available in all store outlets.An expansion of ideas also took place when Cabalen offers an off premise style of service through a catering concept called Cusina Estela by Cabalen. It caters huge occasions that only substantiate that Cabalen is part of every family’s event. classics that they offer in different varieties – Seafood Paella, Vegetarian Paella, and Paella Negra. And who wouldn’t want to get a taste of their holiday sweet treats made with the finest of ingredients? Cabalen’s desserts will surely light up your heart this cold season – Bibingka, Suman Bulagta, and Native Choco.